The Cumberland and Dumfriesshire Farmers’ Mart P.L.C. had forward 151 breeding cattle and 273 store cattle at their sale on Saturday 9th October 2010. Quality store cattle sold to a fast trade with the plainer sorts harder to cash. Top price of £920 for a Charolais bullock from W. Gamble, The Lake. A large show of 151 breeding cattle saw the younger cattle very dear and the older cattle similar. Top price of £2,700 for a British Blue cow with an outstanding British Blue bull calf at foot from R.W. & M. Carruthers, Blacksmiths Cottage. British Blue heifers with bull calves to £2,050 from Mrs J. James, Midtodhills. Charolais £920, £875 The Lake, £845 Newtown, £830, £805 Riggfoot. British Blue £890 The Lake, £870 Gibstown, £855 Newtown, £850 The Lake, £770 Gibstown, £730 Newtown. Limousin £890, £875 The Lake, £860, £850 Edenbanks, £850, £845 The Lake, £830 Newtown and Kershopefoot, £825 Newtown, £820 The Lake and Kershopefoot, £795 Newtown and Kershopefoot. Simmental £845 The Lake, £735 How Farm. Blonde d’Aquitaine £845 The Lake. Angus £705 The Stubb, £700 How Farm, £685 Westwinds. British Blue £870, £800 Englishtown, £760, £710 The Stubb, £660, £625 Darnfillan. Limousin £800 Englishtown, £790 Greensburn, £785 Englishtown, £695 Greensburn, £670 Newbigging. Angus £640 The Stubb, £630 Garthside, £540 The Stubb. 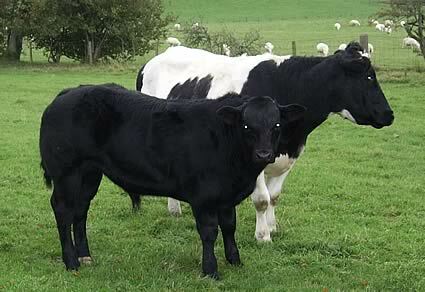 British Blue cow with bull calf £2,700 Blacksmiths Cottage, £1,520 Becton Hall, £980, £920 Midtodhills. Limousin cow with bull calf £1,180 Midtodhills, £1,000 Sleetbeck. Highland cow with bull calf £560, £530, £520, £510, £500, £490 Devonport Farms. British Blue cow with heifer calf £1,420, £1,400 Becton Hall, £1,000, £980 Midtodhills. Limousin cow with heifer calf £1,350 Trough Head, £920 Slealands. British Blue heifer with bull calf £2,050, £1,880, £1,780 Midtodhills, £1,400, £1,280 Becton Hall, £980 Redgate Head. British Blue heifer with heifer calf £1,050 Midtodhills, £920 Redgate Head. Limousin heifer with heifer calf £1,480 Becton Hall, £1,000 White House. Limousin cow in calf £940 Slealands. Limousin bulling heifer £870 Fellend, £830, £770 Woodslee.